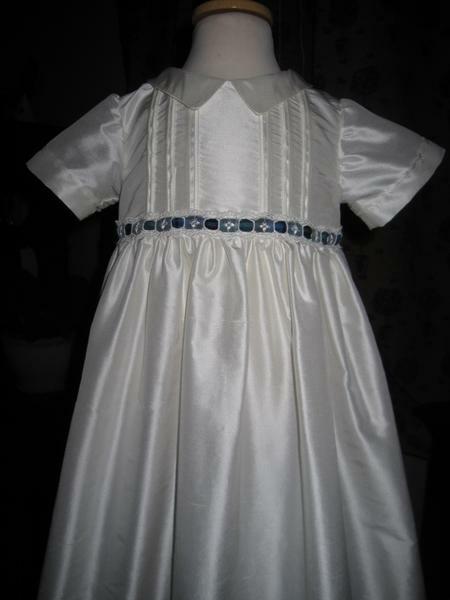 The Rhona Christening Gown is a beautiful silk dupion gown combining pintuck detailing and delicate embroidery. 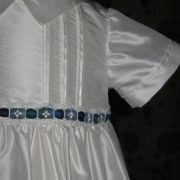 The bodice has vertical pintucking with ribbon inserted in between to give texture and interest. 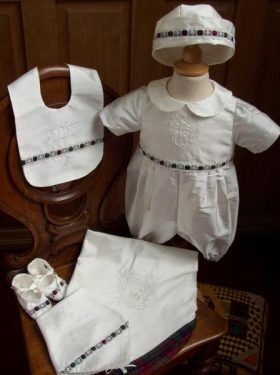 A shirt collar and short sleeves compliment the design. 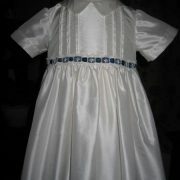 Beautiful insert lace attaches the bodice to the skirt and the family's tartan runs through this. 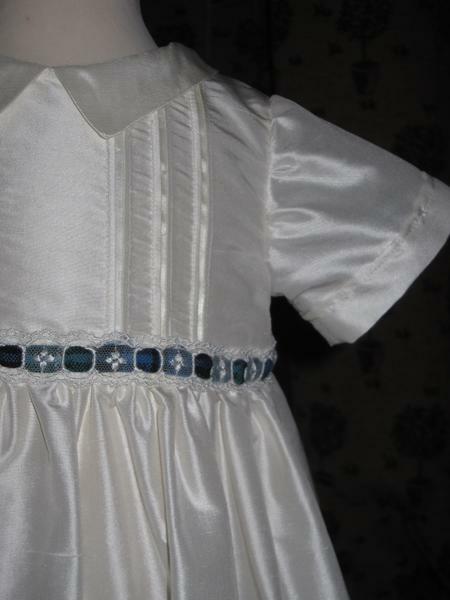 The skirt is full and is gently gathered into the bodice. 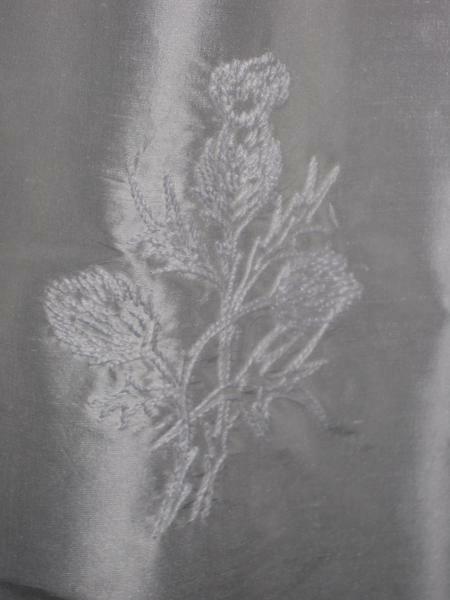 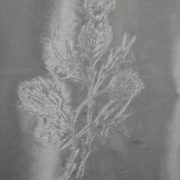 A plain skirt, the beauty is the hand embroidered thistle in the centre of the front. 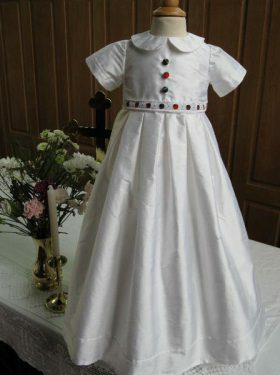 A lovely gown, that could also have short puff sleeves and either a Peter Pan collar or no collar to make it more appealing for a baby girl. 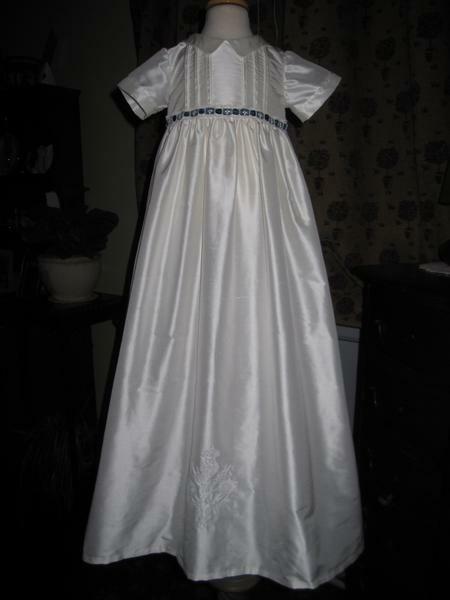 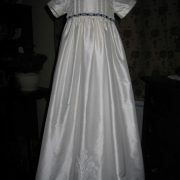 Either way, this christening gown is timeless and extremely classic. 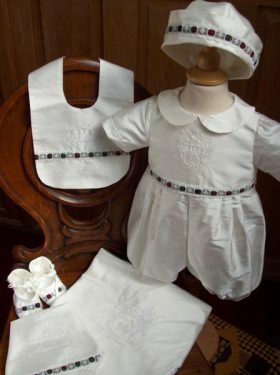 Matching� bonnet, bib, booties and cap are also available in this design. 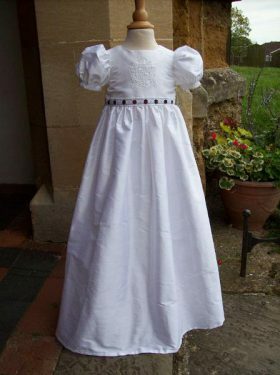 The christening gown can be made with any tartan trim.